Prince Harry and Meghan Markle are officially at home in Frogmore Cottage! home in Frogmore Cottage! As the Duke and Duchess of Sussex ready themselves for the arrival of their first child, the royal couple made the move from Nottingham Cottage in Kensington Palace to Frogmore Cottage in Windsor earlier this week. The move into Frogmore is significant for the couple, who took their engagement photos on the grounds of the home and had their evening reception at Frogmore House, the larger building on the property. The renovations to the new Sussex family base — which was previously divided into five units to house members of the royal staff — are extensive, and cost about $3 million, a royal source told ET. The in-depth renovations were likely due to the “pretty dilapidated” state of the cottage, royal biographer Ingrid Seward told People. The Mirror additionally reported that the couple has spent more than $50,000 to soundproof their home, due to the frequent planes from Heathrow Airport that fly over the property. Harry and Meghan also spent the same amount to put in a green energy unit that will provide heat, hot water and electricity, the outlet said. A source previously told ET that the royal couple is working with interior designer Vicky Charles to bring their vision for the interior of their home to life. Charles has worked with George and Amal Clooney as well as David and Victoria Beckham. She previously served as the Global Head of Design at Soho House prior to co-founding her company, Charles & Co, with James Corden’s wife, Julia Corden. 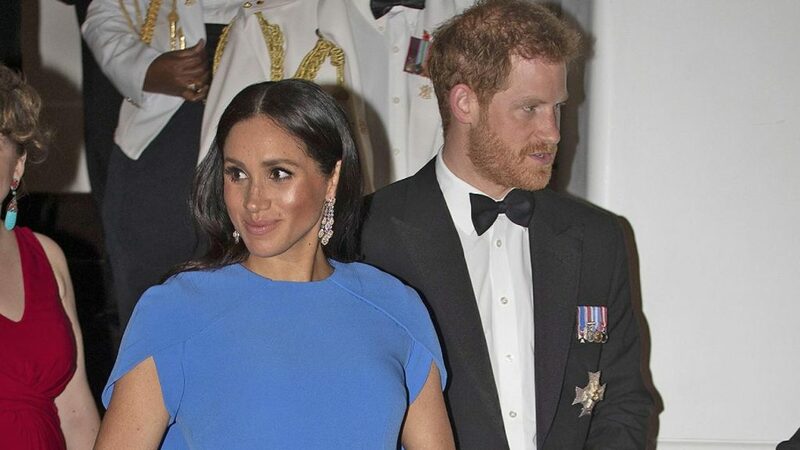 The Duchess of Sussex reportedly loves the posh Soho House clubs, which are said to draw design inspiration from the 1920s and 1930s. A source recently told ET that Meghan has been involved every step of the way remodeling their new home, while juggling her extensive charity work and getting ready for the birth of her first child. The renovation includes double two conservatory extensions, a new kitchen, and several fireplaces, the source said. One of the attractions of a Frogmore Cottage are the extensive gardens, which will offer their child freedom from the paparazzi to play outdoors and enjoy a wonderful childhood, ET’s source added. As for Baby Sussex’s nursery, Vanity Fair reported that it’ll feature a white-and-gray color scheme and will include “top-of-the-line cameras, security windows, and a state-of-the-art stereo system.” The Sun additionally said that the royal couple plans to use vegan paint infused with eucalyptus oil on the walls in the nursery. The yoga studio will be outfitted with a spring floor, in place of the original Victorian floorboards, so vibrations and noise won’t disturb the rest of the house, according to The Week. A palace insider told Vanity Fair that Queen Elizabeth offered Harry and Meghan the opportunity to choose some artwork from her collection for their new home. The Royal Art Collection includes works by Rembrandt, Leonardo da Vinci, Michelangelo, Andy Warhol and others. “They have been presented with a list of paintings that would be available to them and they are making up their minds as to what they would like to hang in their new home,” the source told the magazine.